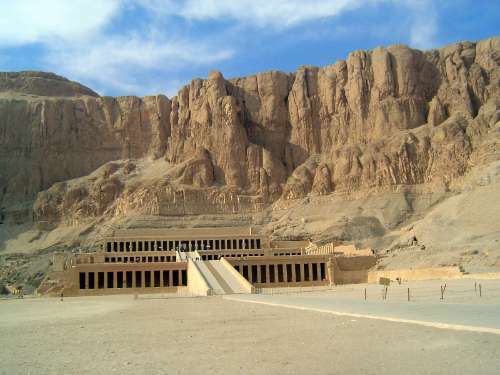 The axis of the Temple of Hatshepsut is within 100 meters of being a projection of the axis at Karnak, about 5,000 meters to the east. 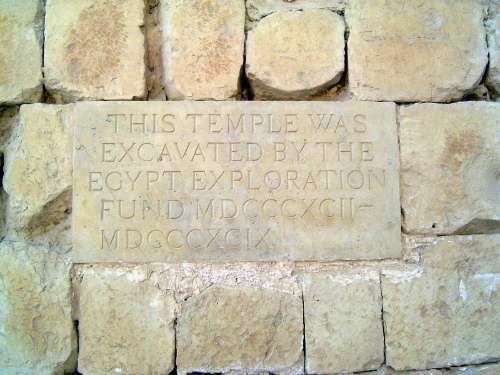 The queen's presumed tomb lies on the other side of the mountain and, although geological instability forced an adjustment, was supposed to be a further projection of that axis. Here's the immense lower court and colonnade. 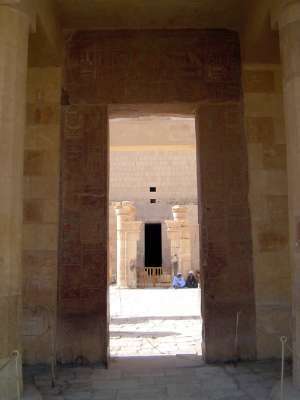 The ramp rises to a second courtyard and a middle collonade, then continues up to the upper colonnade and the terrace behind it. 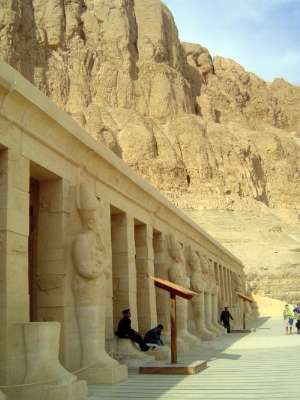 A 1,200-foot-long sphinx-lined causeway extended from this lower court to a canal at the edge of the cultivated area behind the camera. Much has been rebuilt here. 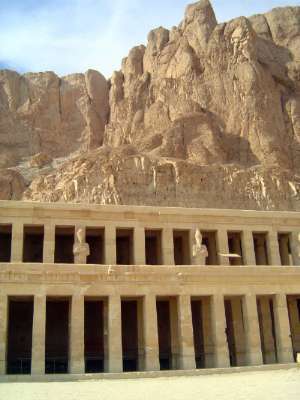 The middle and upper colonnades, the upper with statues of Hatshepsut as Osiris. A closer view of that upper colonnade. 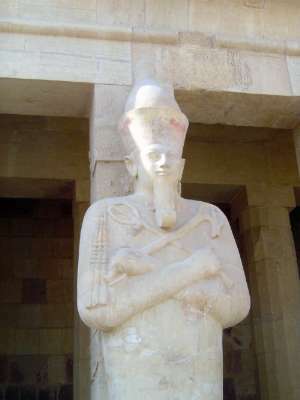 Osiris, as usual, appears holding a crook and flail, agricultural implements perhaps associated with the god's original character as a fertility god. 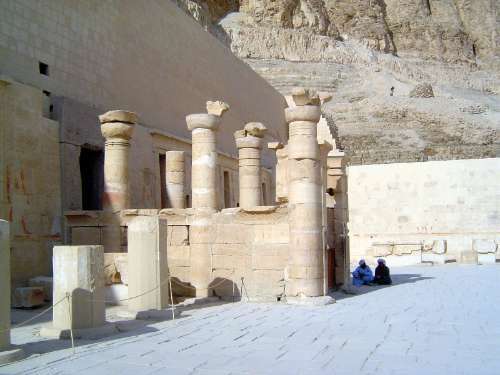 The upper colonnade has a doorway into the upper terrace and its chapel, here in the distance. This upper terrace was originally a roofed hall. 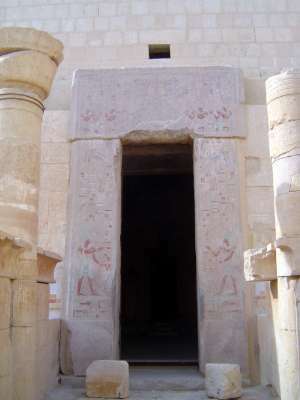 Granite door frames at the entrance to the three-roomed chapel, closed to the public.